Will eliminating the sale of tobacco products in pharmacies make a difference in the overall rate of smoking? There is evidence developing that indicates that removing tobacco products from retailers with pharmacies will lead to substantially lower rates of smoking with implications for reducing tobacco-related deaths. Smoking is the leading cause of premature disease and death in the United States with more than 480,000 deaths annually. While the prevalence of cigarette smoking has decreased from approximately 42 percent of adults in 1965 to 18 percent today, the rate of reduction in smoking prevalence has stalled in the past decade, pointing to the need for more interventions to cut that rate, including by reducing the availability of cigarettes. 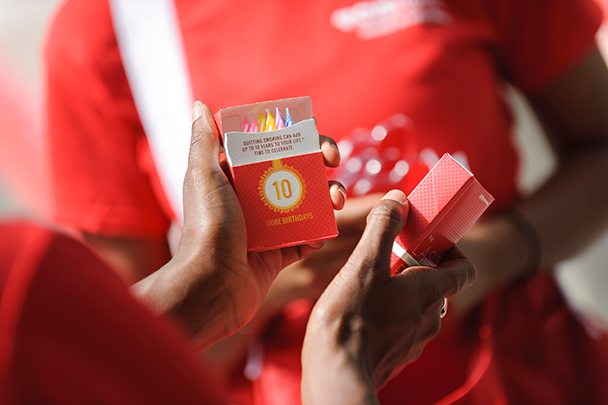 Writing in the Health Affairs blog, a team of CVS Health physicians highlighted a study of the effect of eliminating sales of tobacco on the number of smokers. The study by CVS Health evaluated the purchase of tobacco products by residents of San Francisco and Boston after those cities enacted policies prohibiting the sale of tobacco in retailers that have pharmacies. The results showed up to a 13.3 percent reduction in purchasers of tobacco products after the bans. Currently nine percent of tobacco products are purchased at retailers that also have pharmacies. These findings highlight the need for more study of the effects of policies to eliminate tobacco sales in retailers with pharmacies. Some pharmacies in the U.S., including CVS Pharmacy, have voluntarily chosen to stop selling tobacco products and many public health and medical societies have called for other pharmacies to follow suit.